Bitdefender Internet Security 2019 is the company latest version internet security suite that featuring antivirus, antispam, ransomware protection, browsing protection, parental controls, firewall, password management, and more. The advance internet security software prevent treat attacks by introduce new Network Threat Prevention, delivers multi-layer ransomware protection with ransomware remediation feature to ensures files (documents, pictures, videos, or music) protected against ransomware. In addition, Bitdefender 2019 also includes the new Security Advisor. The one-click tool can quickly checks all available wireless networks and highlights security vulnerabilities to user. Bitdefender Internet Security 2019 comes with user friendly interface with one-click button to access modes such as Quick Scan, Vulnerability Scan, and etc. 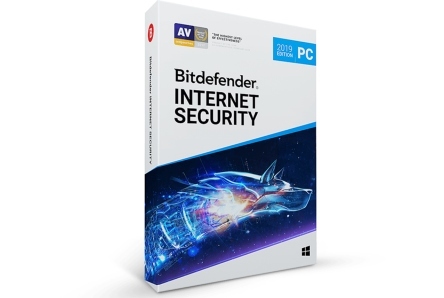 Bitdefender Internet Security 2019 usually retails price at $79.99. As part of promotional offer, Bitdefender is giving away six-month subscriptions of Bitdefender Internet Security 2019 to everyone at no cost. Fill in the email address and tick “I’m not a robot”. Then click “GET IT NOW” button to proceed. An email from Bitdefender will receive containing with download link and license key code. Follow email instruction to activate the software. Bitdefender Internet Security 2019 supports Windows XP, Vista, Windows 7, 8, and Windows 10.